When reading the recent obituary of actress Catherine E. Coulson, best known for playing Margaret Lanterman (aka “The Log Lady”) on David Lynch’s TV show “Twin Peaks,” I learned something I had not known, or perhaps had forgotten: Coulson was once married to Jack Nance. Nance, a character actor who famously starred in Lynch’s debut feature, Eraserhead (1977), and later appeared in many of Lynch’s films and also in “Twin Peaks,” made a living out of being a “That Guy.” He was one of those character actors who eventually became recognizable enough that your average moviegoer would probably say, “Hey! It’s that guy!” without necessarily remembering Nance’s name. (If you’re interested in reading more about Nance’s tumultuous life and career, read this Quietus piece, which has interviews with Lynch and Coulson.) I often consider these performers the most exciting ones to watch; they’re the people who complete film casts, not by being A-list stars but by playing parents, teachers – in short, all the smaller roles that can stand out if the actor is memorable. 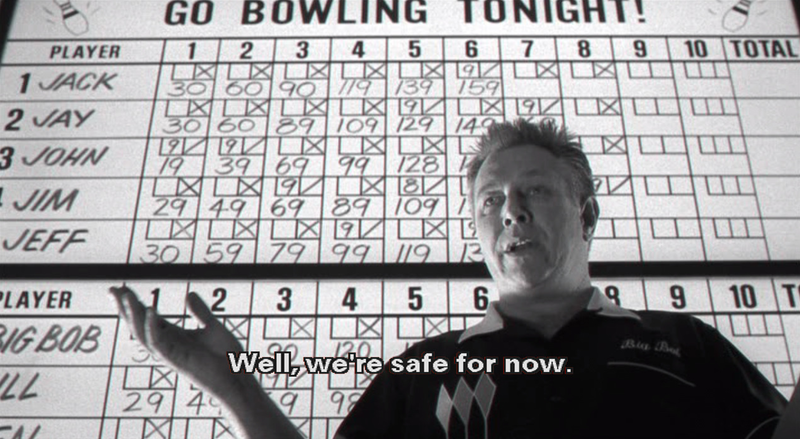 When watching Pleasantville (1998) recently, I thought about this with regard to J.T. 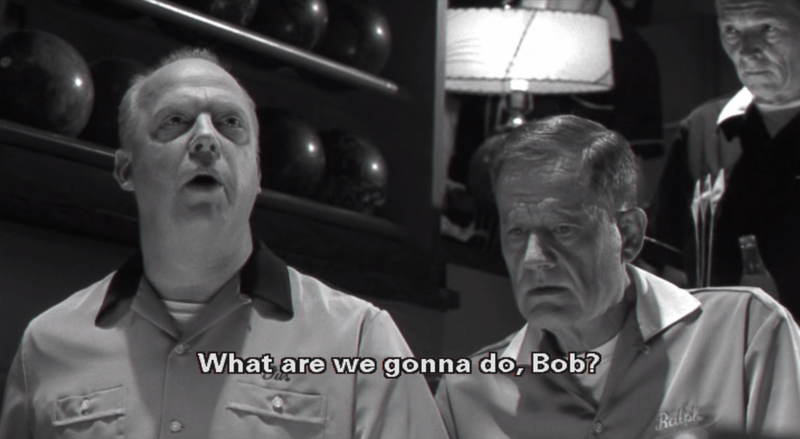 Walsh, who plays Big Bob, the mayor-character on a 50s TV show depicting idyllic, small-town America. When two teenagers living in the 1990s get magically transported into the world of the show, they begin to change the ways that the repressed fictional characters think and act, which is of course a problem for Bob, who is used to being in charge of a moralistic, law-abiding community. 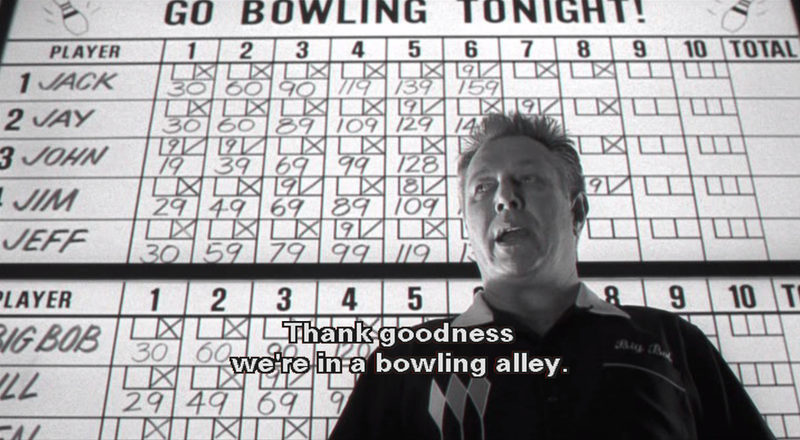 I love this scene in the town’s bowling alley, in which Big Bob soberly acknowledges the comfort and safety of the building that he and other townsmen are staying in during the rainstorm (the first in Pleasantville’s history). There’s something about the way Walsh delivers those lines that makes them funny even though the words themselves are not outwardly unusual or witty. It’s the seriousness with which he says them, and perhaps also because his voice reminds me a little of Edward Herrmann, and maybe it’s also in the way that cinematographer John Lindley lit the scene (here’s a clip from later in the scene). I can’t help feeling that we lost a great one when Walsh died of a heart attack that same year, 1998. Even though he never had a starring role (at least not one that I can recall), he was in so many movies and TV shows that he made a mark, whether people knew his name or not. 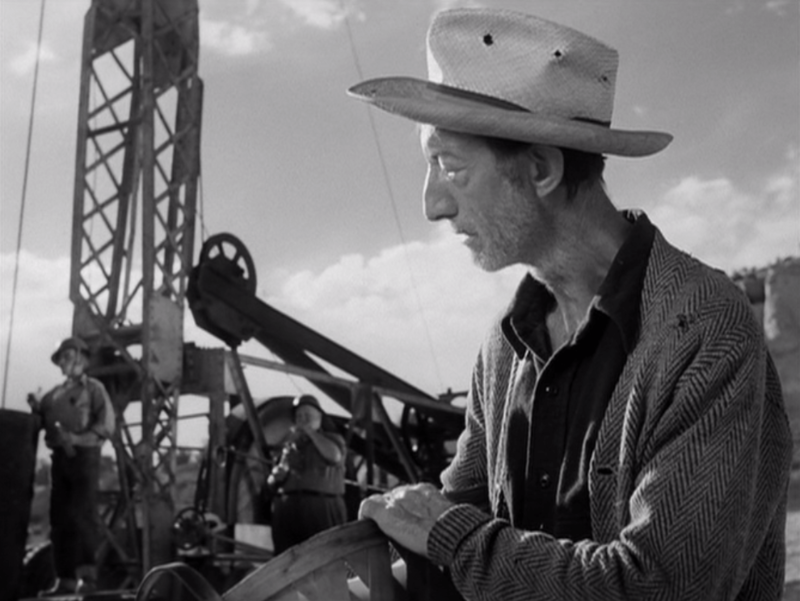 Another good example is seen in Billy Wilder’s Ace in the Hole (1951), in which character actor John Berkes plays Papa Minosa, father of the man whose plight down in a collapsed cave in their little New Mexico town has turned the area into a site of mass-media frenzy. In this scene, Papa Minosa reacts to the carnival that has sprung up around his son’s harrowing life-or-death situation. People from all across the country have come to exploit the attempts to save Leo Minosa, and his father, as played by Berkes, cares so much more about the rescue efforts than he does about the throngs of vacationers and thrill-seekers just looking for some excitement, as well as some popcorn and cotton candy while they’re at it. This scene lasts ten seconds and the character never says a word; his face says it all. 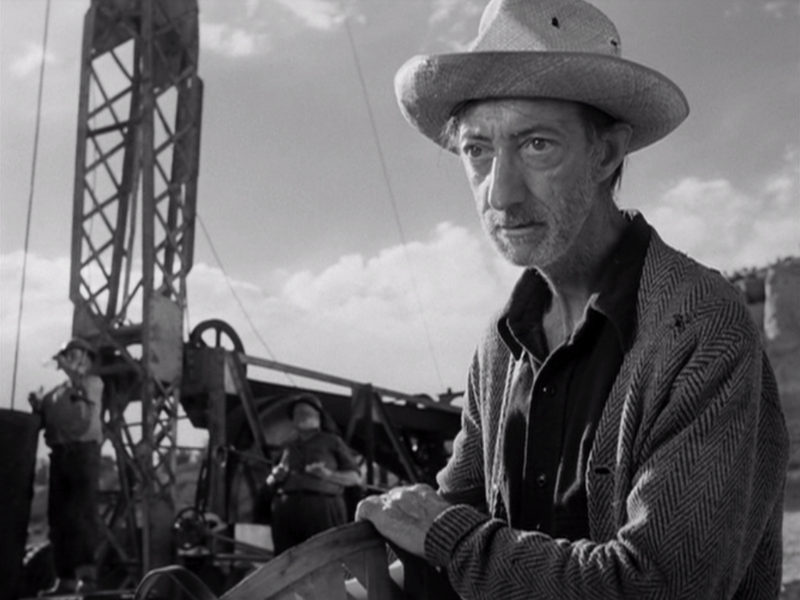 I don’t think John Berkes is remembered by anyone except die-hard film buffs – especially since so many of his roles were uncredited bit parts – but I’ll never forget his performance in Ace in the Hole. 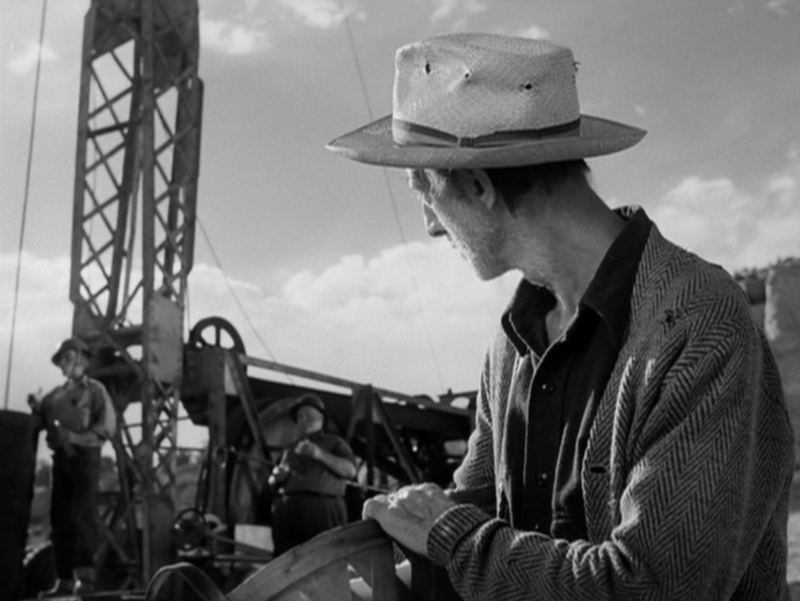 In another example from the 1950s, this is a scene from Stanley Kubrick’s The Killing (1956), in which a chatty, well-meaning parking lot attendant played by James Edwards gets in the way of the criminal activity that Timothy Carey – one of the most offbeat dudes in American cinema of the 1950s through 1980s – is trying to carry out. Like the definition of the last name of Carey’s character, Nikki Arcane, Carey had a certain mystique, an aura of inexplicable yet obvious weirdness, which allowed him to play several dozen bizarre characters on both the big and small screens. The way that Kubrick and dialogue writer Jim Thompson (yes, that Jim Thompson) incorporate racial tension through the implications of racist language is strengthened by the performances given by both actors. Women can be “That Guys” too, of course. Who could forget Alice Drummond as the librarian whose paranormal experience in the basement stacks of the New York Public Library opens the film Ghostbusters (1984)? 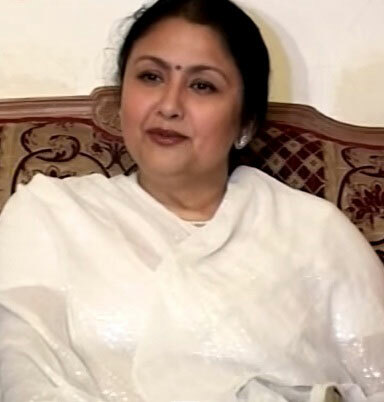 Drummond has been playing the “little old lady” role for decades, seen in such films as Awakenings, Ace Ventura: Pet Detective, In & Out, Pieces of April and Doubt and in TV shows including “Night Court,” “The Equalizer,” “Law & Order,” “Spin City” and “Boston Legal,” never making her a household name yet providing her with an excellent résumé. Going back to the 1930s, Helen Troy could occasionally be seen in comedies and dramas that required a fast-talking secretary, telephone operator (she was very funny as this type in Born to Dance) or maid. She made only a handful of films before her premature death in 1942, but she could steal any scene she was given, as is the case in this clip from Broadway Melody of 1938 (1937), in which she thoroughly perplexes Buddy Ebsen in his endeavor to sign up for a gym membership. It’s not easy to upstage the leads in a film as momentous as The Graduate (1967), but somehow Elizabeth Wilson does that as Mrs. Braddock. The laugh she lets out when she hears that her son Ben is going to get married is equal parts entertaining and terrifying. Wilson, who passed away a few months ago, made a long career out of playing supporting roles, but she sure got to be in a lot of films that will live on forever in the hearts of film fans (Picnic, The Birds, Catch-22, Nine to Five, The Addams Family and Quiz Show are just a few of the other titles in her filmography). In other “great screams” history, the horror genre has had its share of noteworthy character actresses too. The name Catherine Gaffigan may not ring any bells, but if you’ve seen Brian De Palma’s breakthrough feature, Sisters (1973), you’ll never forget her as Arlene, an insane asylum inmate whose germophobia transcends everything. Gaffigan did not receive screen credit, but man, her screaming at Jennifer Salt is my favorite part of that movie. The same year as The Graduate, another groundbreaking film about relationships came out: Guess Who’s Coming to Dinner. It is most beloved for its three major stars – Katharine Hepburn, Spencer Tracy and Sidney Poitier – but two of my favorite scenes in the film involve actresses who have supporting roles. In the first of the clips posted above, Virginia Christine (best known in the 1960s and 70s as “Mrs. Olson” in commercials for Folger’s Coffee), who plays Katharine Hepburn’s art gallery assistant, displays her two-faced nature, for which she receives a calm yet extremely potent rebuke from Hepburn. In the second clip, Beah Richards explains to Spencer Tracy the reasons why he and her husband (Roy Glenn) are so unwilling to accept the interracial marriage of their children (Sidney Poitier and Katharine Houghton). For this performance Richards received an Academy Award nomination for Best Supporting Actress, and it is easy to see why. Her quiet strength and dignity are powerful components of the character. Another favorite of mine is Anne Haney, who played Mrs. Sellner, the inquisitive social worker in Mrs. Doubtfire (1993). I didn’t remember to include Haney or any of the aforementioned actresses in a post I wrote about character actresses nearly two years ago, but all of these women made (and still make) strong impressions on me in their film and television appearances. With Haney, I think she was particularly good both in Mrs. Doubtfire and in the “Golden Girls” episode “The Operation” (here’s a clip of her two-minute scene in that episode, slightly sped-up to avoid copyright infringement rules [I assume] but still effective) because she had a naturalistic way of talking and moving, plus a charming Southern accent. Haney came from a background of studying drama at the University of North Carolina at Chapel Hill, but she did not make her first television appearance until 1978, when she was 44, and her first film was Hopscotch in 1980. I think that’s what I love best about character actors: they come from all walks of life and they use their life experiences to make their characters feel like “real,” ordinary people. They might not be glamorous gods and goddesses with impeccable makeup and movie-star good looks, but they have an appeal all their own. 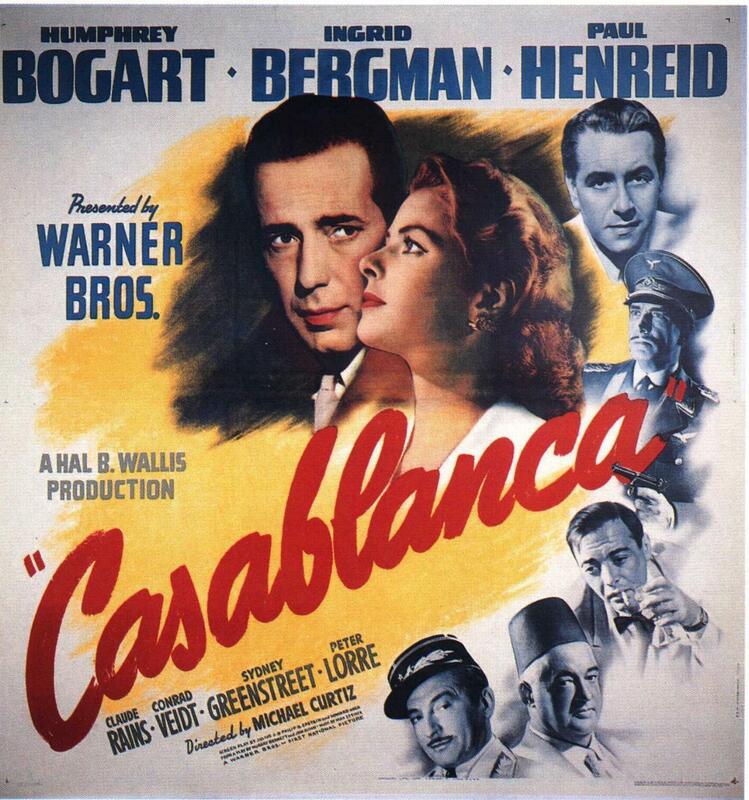 Seeing Michael Curtiz’s Casablanca (1942) on the big screen at the Museum of Modern Art last weekend as part of the Ingrid Bergman centennial retrospective reminded me that the film is so much more than just a vehicle for its four stars, Humphrey Bogart, Ingrid Bergman, Paul Henreid and Claude Rains (admittedly, Rains’ name is not above the title either in advertising or in the film’s opening credits, but his role is large enough and his lines memorable enough that he has been accorded a higher position in viewers’ hearts). Casablanca is also a wonderful showcase for the many character actors who populated Hollywood in the 1940s, a large number of whom were European refugees, like the characters they play in the movie. 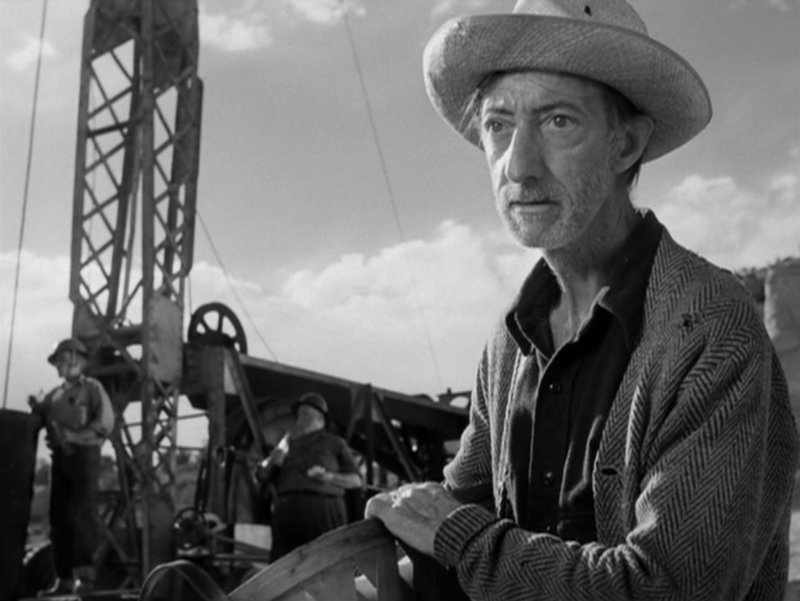 With the exception of John Qualen, because I cannot find any videos of his performance, I have tried to account for all of the notable supporting roles in the film by writing a little about each actor and showing his or her work in clips. As Russian theatre director Konstantin Stanislavski said, “there are no small parts, only small actors,” and American character actor Dabbs Greer once remarked that “every character actor, in their own little sphere, is the lead.” That is certainly true of the many performers who shine, even if only very briefly, in Casablanca. The striking presence of German actor Conrad Veidt (1893-1943) brings life to the role of Third Reich official Major Heinrich Strasser. A tall, imposing man with a distinctively nasal voice, Veidt made a name for himself in Weimar-era horror films including The Cabinet of Dr. Caligari (1920), The Hands of Orlac (1924) and The Man Who Laughs (1928) and after fleeing the Nazis (he vocally opposed them, which earned him death threats from the Third Reich) in the early 1930s, he found work in the UK and US playing many elegant, mysterious, oftentimes villainous characters. In the 1940s he was recruited to play Nazi generals, as in Escape (1940), All Through the Night (1941) and, most unusually, as both a Nazi and his anti-Nazi twin brother in Nazi Agent (1942). It makes sense, therefore, that Veidt would be cast in a similar role in Casablanca and it is a tribute to his artistry that he was the highest-paid actor in the cast. Inveterate scene-stealer Sydney Greenstreet (1879-1954) takes charge of every frame he is in, which isn’t bad for a guy who didn’t start making movies until he was in his early 60s (his debut being in 1941’s The Maltese Falcon). Greenstreet doesn’t have much to do in Casablanca except throw his weight around (both symbolically and literally) but any time he shows up, you smile. In two short scenes in Casablanca, Curt Bois (1901-1991) appears as a nameless pickpocket who warns visitors to the city about “vultures everywhere” as he steals their wallets. Berlin-born Bois, who was Jewish, fled Germany shortly after Hitler came to power, finding work in Hollywood starting in 1937. 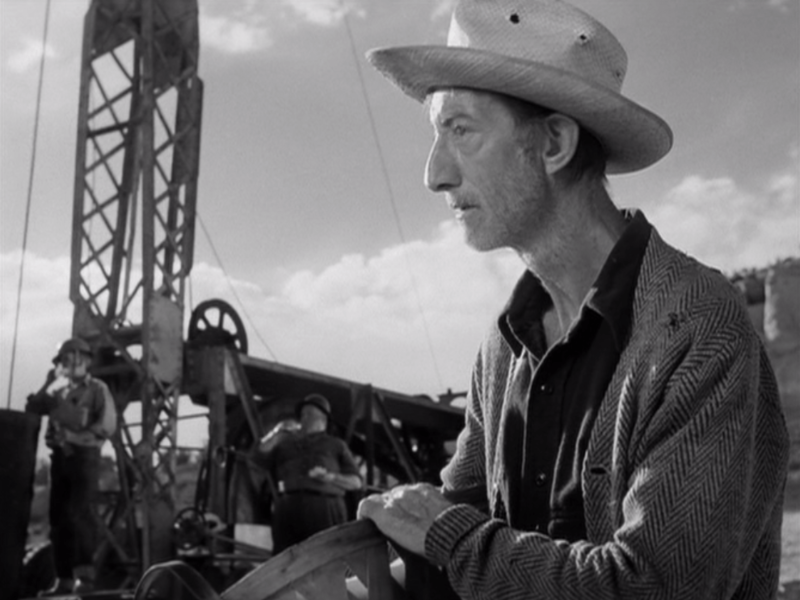 His career, which lasted eighty years, culminated in his final film performance as Homer the aged poet in Wings of Desire (1987), probably one of the largest roles Bois ever had in the movies. You may also recognize the wife in the pickpocketed couple; that is English actress Norma Varden (1898-1989), who later had bigger roles as the society woman nearly strangled by Robert Walker at a dinner party in Strangers on a Train (1951) and as the wealthy murder victim in Witness for the Prosecution (1957). Peter Lorre (1904-1964) got the biggest applause at MoMA aside from Ingrid Bergman, and for good reason. Audiences appreciate Lorre’s immense talent, his wide-eyed stare and perhaps especially his Hungarian-accented tenor voice, which could swing from charming to smarmy in the blink of an eye. Lorre could play morally ambiguous, or repugnant, characters and yet still have an ounce of sympathy because he was that good an actor. Moviegoers remember Dooley Wilson (1886-1953) for singing the now-classic “As Time Goes By” at Ilsa’s (Ingrid Bergman) request, but as piano player Sam, Wilson does not merely play a worker in Rick’s hire. On some level Rick and Sam have an employer-employee relationship since one man pays the other, but Sam was also witness to the romance between Rick and Ilsa; Rick considers Sam a trustworthy confidant. Leonid Kinskey (1903-1998) plays the small but memorable role of Sascha, the bartender at Rick’s Café Américain, seen here attempting to woo Yvonne (Madeleine LeBeau – more on her below). Once described by columnist Louella Parsons as “the maddest Russian on land and sea,” Kinskey made a long career out of playing a long list of types, including political agitators, spies and informers (Trouble in Paradise, Duck Soup, Manhattan Melodrama, Algiers), prisoners (We Live Again, Les Misérables), gigolos (Down Argentine Way, That Night in Rio), cowboys (Rhythm on the Range), snake charmers (The Lives of a Bengal Lancer), interior decorators (Goin’ to Town), waiters and bellhops (I Live My Life, Week-End in Havana), professors (Ball of Fire), musicians and composers (The Cat and the Fiddle, 100 Men and a Girl, The Great Waltz, On Your Toes, The Helen Morgan Story), poets and artists (Café Metropole, Nothing Sacred, The Story of Vernon and Irene Castle). In Casablanca, however, Kinskey plays a barkeep who does not have many lines, yet the ones he says are always amusing. Perhaps most famously, Kinskey tells Bogart, “Boss, you did a wonderful thing!” and kisses him on both cheeks after Bogart has helped a young couple to obtain exit visas. American actress Joy Page (1924-2008) plays Annina Brandel, one half of a young Bulgarian couple seeking a way out of Casablanca. Page appears a few times throughout the film, not usually saying much, but in this scene she moves Rick (and the audience) as she pleads her case. Helmut Dantine (1918-1982), uncredited, plays Joy Page’s husband. A Viennese actor, Dantine is perhaps best remembered for playing many Nazi characters from the 1940s through the 1970s. 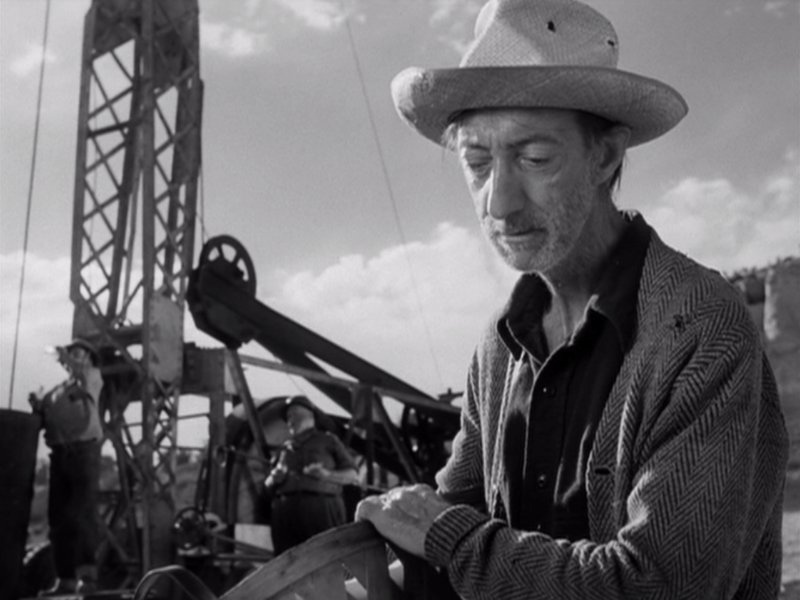 You will also notice Marcel Dalio (1900-1983), another uncredited actor, playing the croupier at the roulette table. Dalio was a well-known actor in France, his best roles being in the two Jean Renoir films he made, Grand Illusion (1937) and The Rules of the Game (1939). Like so many European Jews, however, he had had to flee the continent and went to Hollywood, never playing such large roles again in American film but always popping up in large supporting casts. As previously mentioned, at the time Dalio was married to Madeleine LeBeau, who plays Yvonne in Casablanca. Ilka Grüning (1876-1964) and Ludwig Stössel (1883-1973) play the uncredited roles of Mr. and Mrs. Leuchtag, a couple who is immigrating to America after finally receiving their exit visas. Their friend, Carl the headwaiter, is played by Hungarian actor S.Z. Sakall (1883-1955) who found success playing a series of kindhearted fathers, uncles, bosses and working-class men in films including Yankee Doodle Dandy (1942), Christmas in Connecticut (1945), Romance on the High Seas (1948), In the Good Old Summertime (1949) and Small Town Girl (1953).